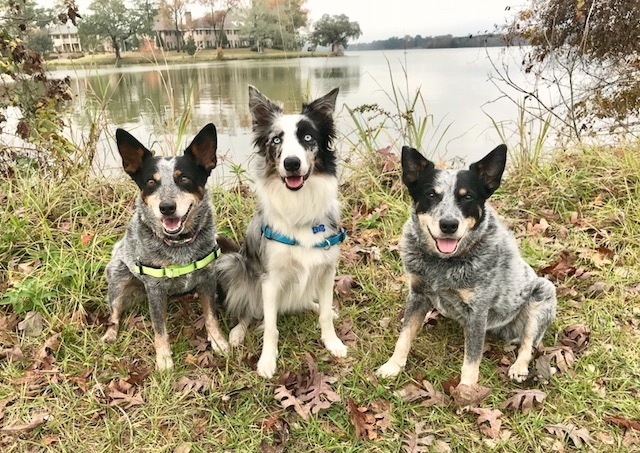 On December 10th, we left the ash and smoke from the local fires to start our RV journey from Santa Barbara to Orlando, FL for the AKC Agility Invitational. This was our fifth time making the journey east for this event, and Avid’s first full cross-country road trip (she handled it like a pro!) We did have a little excitement in Louisiana and Alabama, getting pulled over by the local police wanting to know what we might have in a rented RV. Despite the stress of being interrogated we answered all their questions, showed them the proper paperwork, and were let go to continue the drive to the Invitational with a couple of interesting stories. Kylie celebrated her 12th Birthday on December 9th, it seems like we have spent several of her Birthdays traveling to the Invitational. Kylie and Maizey knew right where we were when we walked into the huge convention hall where they have the agility competition, they ran in the 16″ division. We started with a warm-up run on Friday (Time 2 Beat) – Kylie won the class and Maizey finished 5th overall. When you drive all the way across the country for a weekend-long agility trial, you want to do well. I was definitely dealing with nerves on Saturday morning before the first round, I had to try and put that out of my mind and deal with each course when it was time. I am so blessed to have Kylie and Maizey as my agility partners, they came through for me in every run. There were some handling plan changes on the fly, but the girls handled them with ease and they ran clean in all of their classes all weekend long. 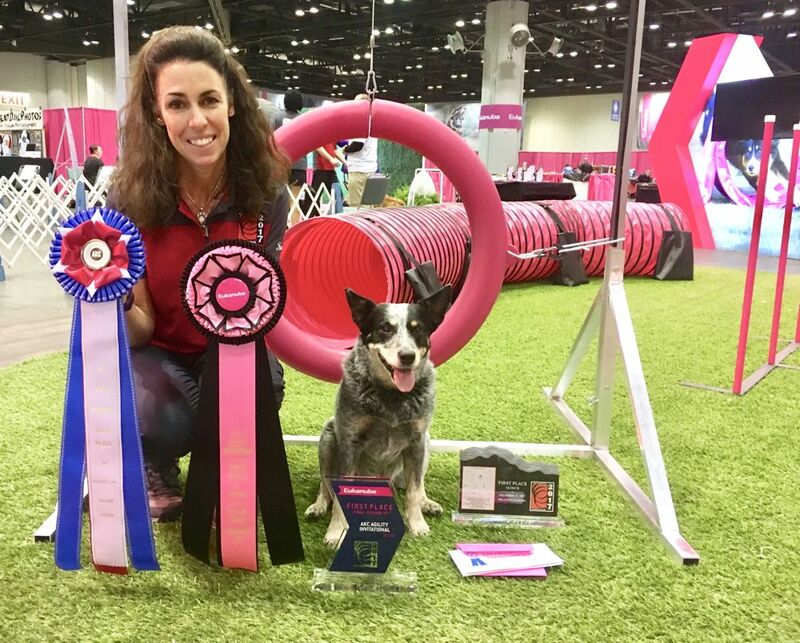 Out of 145 dogs in the 16″ class, Kylie finished the weekend in first place, and Maizey finished in second place – such awesome girls!! They earned some cash prizes, Kylie was the #1 Australian Cattle Dog at the Invitational, and Kylie earned a spot for us to run in the Finals on Sunday night. The course didn’t really play to my handling strengths in one particular place, so I had to trust Kylie and once again she came through for me. We crossed the finish line after a nice Finals run, and they announced that we had won our Finals class! I was so very proud of National Champion Kylie!! They whisked us away for photos, Kylie loves to be on the podium and she hopped right up to have her photo taken with the other winners. It was such a highlight in our competitive career, and a really nice note to finish my final Agility Invitational with Kylie. I was also very proud of Maizey, as she turned in solid and enthusiastic performances on every course. 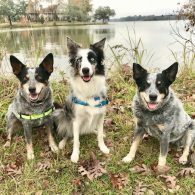 We had quite the epic journey and it was such a highlight of my agility career with Kylie and Maizey. This will most likely be our last AKC Agility Invitational, and we have incredible memories to last a lifetime. Huge thanks to my husband Mike, who is the most amazing source of support all year long, and especially on the Invitational adventure.